Who you choose to date is a direct reflection of how you feel about yourself. 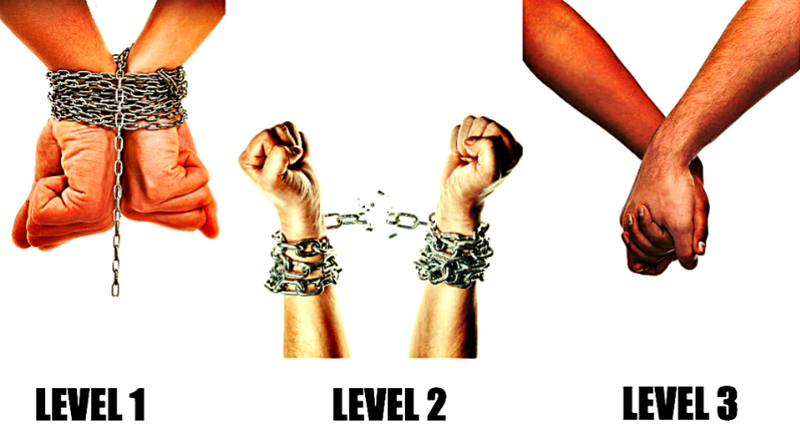 There are 3 levels of relationships and these levels are proportionate with the levels of the person’s maturity. Each level has its own flavor that gives to the relationship. Relationships are best platforms for self discovery. Both you and your partner will act as mirrors where you will project every single thing that you need to work on. For this reason relationships are often feared and approached with such carefulness by most people. That’s why relationships can do a lot of emotional damage. Because most people do not understand that their relationships are actually highly immature. Grown ups act as if they are grown ups but emotionally they are stuck. You will hear people say to each other I don’t know how to live without you, or You are my world, or the cliche You complete me. Here is why these people are immature. When we are small kids it’s normal to depend on your parents and family. That’s how you manage to eat, survive and grow. But as we grow most people replace this dynamic with their partners. They do not really grow in their mentality, they just replace the relationship. They become independent in many areas of their life, they make their own food, they live in their own place, they manage their own time. However, they are still emotionally dependent. They will look for a partner who will make them feel complete, as if they are missing something. Codependent relationships are like little prisons where both partners cut parts of who they are to be able to fit together, they depend on each other to feel complete. The second level of relationships is Independency. You outgrow the mentality of dependency and become a whole person by yourself. You can feed, clean, entertain and have fun by being you and you don’t need anyone to be able to do this, need being the key word here. This is far more mature mentality than a dependent one because you understand you are enough, you take full responsibility for who you are. However, people within this mentality are so independent that they don’t care to build something lasting with others, they see others in terms of what do I get from them. They don’t believe in partners because they are enough to have and accomplish everything they want. These relationships are shallow, quick, often meaningless. The most mature level of relationships is understanding the fact that the whole is larger than the sum of its parts. When you grow from dependent to independent it’s hard to understand why would you need someone when you are enough by yourself, you are already whole. But growing out from independency into interdependency you realize that you as a whole and someone else as a whole can create something bigger than both of you. You can create a platform on what both of you are better wholes than being separate wholes. You don’t need each other but you choose to build a relationship. Interdependent relationships are constituted of both independent individuals who understand that there is something bigger than the self.